ProArgi-9 Plus is a food supplement based on Nobel Prize winning science. 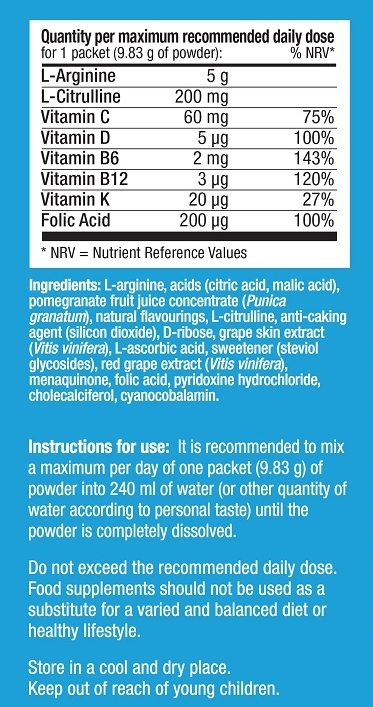 ProArgi-9 Plus contains pharmaceutical grade L-Arginine, L-Citrulline blended with specially selected vitamins. L-Arginine (amino acid) is a precursor for Nitric Oxide (often referred to as the ‘miracle molecule’) which is more powerful than any naturally occurring antioxidant in the body.Healthy levels of Nitric Oxide in the body is vital for proper functioning heart and blood flow. This supplement relaxes the blood vessels that lowers stress on the heart and gradually reduce the plaque built-ups in your arteries. Proargi9 Plus is designed to protect against heart disease, stroke and diabetes as well as slowing premature aging. The product has great taste and far-reaching health benefits validated by the Nobel Prize in Medicine. 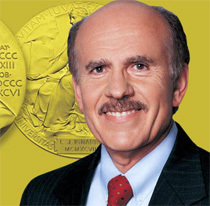 In 1998 the Nobel prize in Medicine was awarded to Robert F. Furchgott and Louis J. Ignarro and Ferid Murad for discovery of the role which the nitric oxide gas plays in intracellular communication has added more prominence to l-arginine. 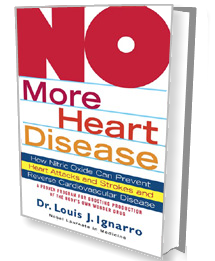 It is important to stress that the level of arterial stiffening and thickening is particularly high when we are deficient in nitric oxide. At the same time, arterial stiffening and thickening make your heart older and expose you to developing stroke, heart attack and other cardiovascular events. Proargi 9 Plus which contain the highest quality of L-argenine and L-citruline is the most efficient way to increase nitric oxide in your body. Proprietary blend: L-arginine, L-citrulline, D-ribose, grape skin extract (Vitis vinifera), red wine extract, xylitol, pomegranate concentrate (Punica granatum). Other ingredients: Citric acid, malic acid, natural citrus flavors, silicon dioxide, sucralose, folic acid, vitamins C, D, B6 and B12. L-arginine is a vital amino acid that plays a key role in a number of physiological functions in the body. It is best known for its cardiovascular benefits because in the body L-arginine is converted to nitric oxide – the so-called ‘miracle molecule’ which regulates blood vessel tone and flexibility. L-arginine helps to improves circulation reduces, lowers blood pressure and stress on the heart. One scoop = 5000 mg of pharmaceutical grade L-arginine. L-arginine in ProArgi9+’ formula is hight quality pharmaceutical grade (i.e. no additive included) derived from a natural source with no contamination of dangerous chemicals. Each pot of the product is subject to 262 tests done in 4 labs of manufacturer. Citrulline is the amino acid which is metabolised in the body to yield more l-arginine which in turn enables a long lasting production of the nitric oxide. Citrulline also helps to optimise blood flow and oxygen throughout the body that boosts higher health energy levels. Vitamin D3 is no longer considered as a vitamin, but rather a hormone. It has long been known to help calcium absorption, but new research shows that vitamin D3 also plays an important role in healthy cardiovascular function and supports the response of the immune system to inflammation. Vitamin K2 contributes to normal bones and blood coagulation.Vitamin K2 is thought to reduce coronary calcification that decreases a risk of cardiovascular disease. Importantly, tt was found that K2 had an effect on coronary calcification. Pomegranate contains such superior antioxidants as punicalagins and ellagic acid. Pomegranate supports arterial wall strength and reduces LDL oxidation as well as enhancing the activity of the enzyme responsible for converting L-arginine into nitric oxide. These ingredients of the Vitamin B family work together to naturally decrease homocysteine levels. A high level of blood serum homocysteine is linked to a high risk of cardiovascular disease – the elevated level of homocysteine is common in elderly persons. This is a low glycemic sweetener that occurs naturally in the body. For decades, xylitol was prescribed as a substitution for sugar for people suffering from diabetes. It has a very pleasant taste. Unlike other sweeteners, xylitol has been shown to promote saliva production providing protection against tooth decay. *Lin HY, Tang HY, Davis FB, Davis PJ, Resveratrol and apoptosis,Ann N Y Acad Sci. 2011 Jan;1215(1):79-88. doi: 10.1111/j.1749-6632.2010.05846.x.